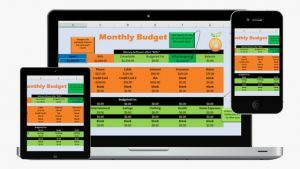 Whether you’re trying to bring your budget back under control, or you’re simply trying to save some money on your monthly bills, there are several different approaches you can take. Of course, you can eliminate any unnecessary spending as much as possible. You can do things like cutting your gym membership and start working out for free, finding frugal hobbies to try during your free time instead of expensive ones, and more. Or, you can take more extreme measures to reduce your spending. You can try cutting your own hair, biking to work instead of driving, or giving up all junk food to save at the grocery store. 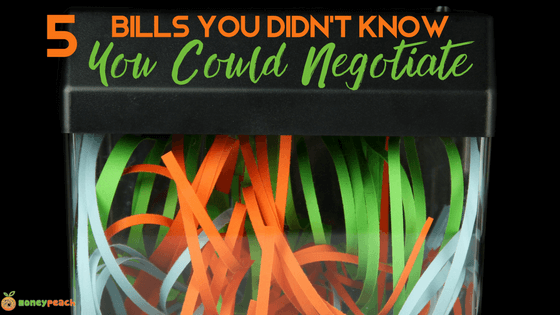 But in addition to all of the usual and unusual ways to save a buck or two, you could also try negotiating some of your monthly bills. 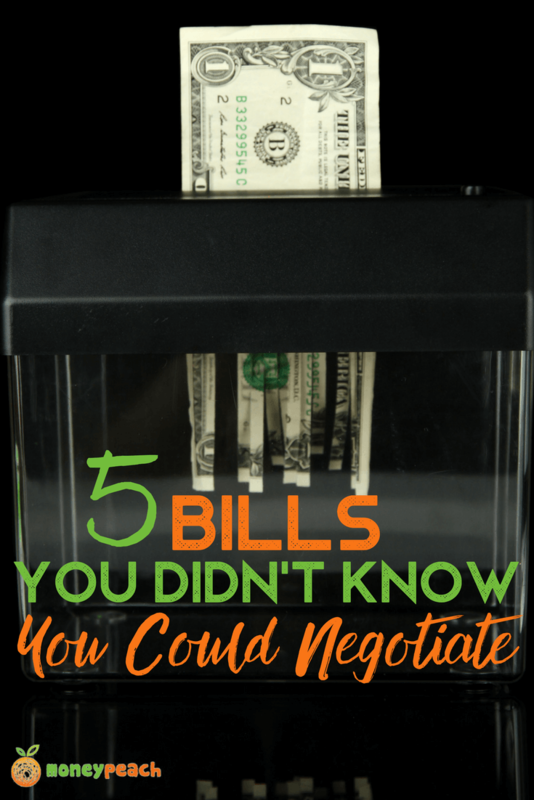 By negotiating your bills, you can save money and continue using the services you’ve grown accustomed to having in your lifestyle. 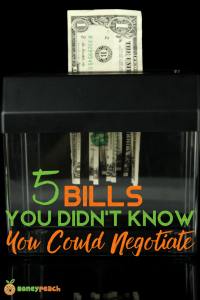 Here are 5 bills you might not have known you could negotiate. I have a friend who was attempting to lower her monthly bills. So, she decided to call her cell phone company to see if there was a way to decrease her monthly cell bill. Because she wasn’t afraid to ask, she was able to slash her bill by almost 50%! It only took her a few minutes to make a call and ask for a lower rate. The worst that could happen is that they say no, and even then you wouldn’t be out anything expect a few minutes of your time. Not only can you cancel the expensive, premium channels, but you can also try to negotiate this bill. Call and let your cable company know you may have to cancel due to the high cost unless they can help you out. If you always pay your bill on time, point that out when you call them. In addition, find out what other providers are charging before you call so you can tell them you are going to switch companies to get a cheaper rate. Most companies will give you a lower rate for 6 or 12 months. Make sure you mark it on your calendar and call again right before that period ends. Of course, you could always cancel altogether and opt for Sling TV, which is Chris’ favorite way to watch TV. Did you know you can sometimes get your medical bills lowered? Call the billing department and ask for a discount on your bill. If you have the cash saved up, you can usually get a discount if you pay-in-full. But if you are having trouble paying your bills, you might also be able to get a discount if you explain your circumstances. 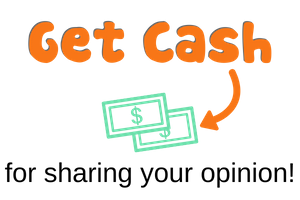 If you pay according to the payment plan they offer, they will be more willing to help you out again in the future if the need arises. If you go to a restaurant and the food was undercooked, overcooked, or of poor quality, ask to speak to the manager. Remember that this is not an unreasonable request. Also, if you talk, instead of yelling, they will likely work with you and give you a discount. They don’t want to lose your business or risk you telling others about your bad experience. Just don’t use this as a cop-out to get a discounted meal if your service and food weren’t of bad quality. That’s just being cheap! Ask for a discount when you call ahead to get a room reserved. Hotels usually have a certain number of discounted rooms they are allowed to rent. Once they hit their maximum they may not be able to give you a discount. You can still get a discount if you aren’t able to make an advance reservation. Just make sure no other customers are within earshot as you ask for a lower rate from the desk clerk. If you are staying more than one night, ask for a lower rate since you will be spending a lot of money with them. What other bills have you negotiated in order to save money? I’ve done #1 twice now. The first time saved me $25/month. The second time was when the discount was ending. They guided me toward a newer plan that ended up saving me $5/month of the discounted bills. I’ve been on that plan since. I did #2 last year, but instead of lowering the bill, I got suckered into double the band width and speed… Most days I feel that was a good choice. This year we are thinking about negotiating our rent increase depending on what it turns out to be. Rent is a good one and you may have a lot of leverage if you have been a good tenant in the past. Remember, it’s much easier for the landlord to have a good tenant than to find a good tenant. I have heard of negotiating your cable, phone, and restaraunt bill but I have never heard of negotiating your hospital bills! I hope I don’t have to go to the hospital any time soon but if I do at least I now know I can negotiate my bill! Thanks for sharing with me! If you never ask, they’ll never negotiate. Check out Kayla’s comment about saving $800 when her son was born. With my first child the hospital gave me 60% off if I paid in full! Saved me around $800! The second time around I wasn’t as lucky. Hospitals are much more willing to work with you versus doctors offices though. Thanks for the testimony on this Kayla! 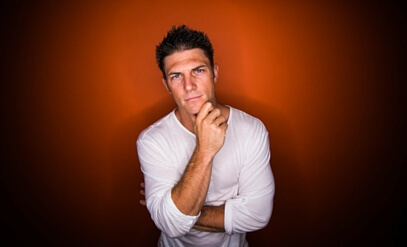 $800 saved for simply negotiating is a TON of money! I agree that hospitals are pretty generous. A lot of people don’t know you can call to find out about discounts and payment plans. It’d definitely best to be pro-active.